Sydney Airport is an international airport in Sydney, New South Wales, Australia located 8 km south of Sydney CBD, in the suburb of Mascot. It is also known as Kingsford Smith Airport. It is the main airport serving Sydney. Sydney Airport is the primary hub for Qantas and Rregional Express Airlines and a secondary hub for Virgin Australia and Jetstar Airways. The airport is next to Botany Bay and has three runways, known as east-west, north-south and third one parallel to north-south, known as parallel runway. 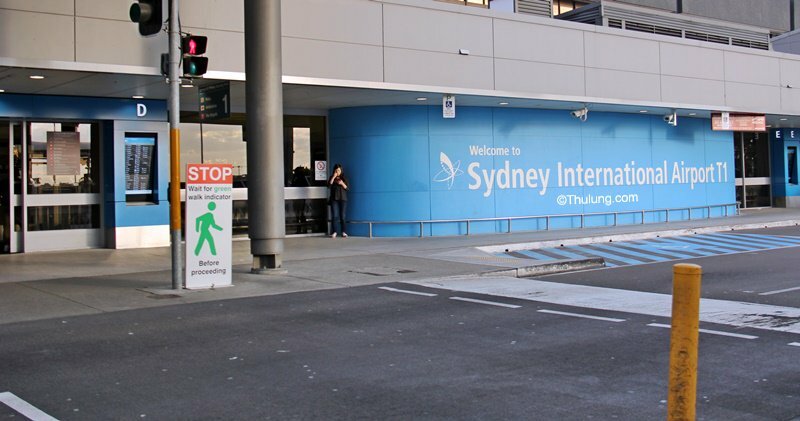 Sydney airport is one of the world's longest continuously operated commercial airports. It is the busies airport in Australia handling around 42.6 million passengers and 350,000 aircraft traffics. Click on the image to see the list of airlines serving Sydney Airport. Sydney Airport has three (3) passenger terminals. The International Terminal is separated from the two other terminals by a runway. So, passengers who are on connection flight needs to allow themselves a longer transfer times.